That’s a wrap on the 2019 SXSW Conference & Festivals, folks! We are so pleased to have shared another successful event with all of the registrants, staff, crew, volunteers, artists, speakers, filmmakers, and our wonderful Austin community. It was a ten-day whirlwind of enlightening and inspiring sessions, film screenings, showcases, exhibitions, tacos, networking, art, competitions, awards, and beyond. The SXSW Conference highlighted some of the most inspired thinkers and industry leaders across 25 Tracks of SXSW-curated programming. At the crux of each day’s programming were powerful presentations by SXSW Keynotes including T Bone Burnett, Kathy Griffin and Kara Swisher, Bozoma Saint John and Ashley Graham, Jeffrey Katzenberg and Meg Whitman, Olivia Wilde, and many more. Among the Featured Speakers were Stacey Abrams, Neil Gaiman, A$AP Rocky, Esther Perel, Alexandria Ocasio-Cortez, Trevor Noah and The Daily Show News Team, Jonah Peretti, and (you guessed it) more. Plus, SXSW hosted a special two-day series, Conversations About America’s Future, in collaboration with The Texas Tribune including some of the nation’s top political leaders like Senator Amy Klobuchar; Senator Elizabeth Warren; former Governor John Kasich; former U.S. Secretary of Housing and Urban Development Julián Castro; House Minority Leader Kevin McCarthy; and Mayor Pete Buttigieg. The SXSW Festivals provided a unique opportunity to explore the worlds of Interactive, Film, Music, and Comedy with screenings, showcases, podcast recordings, immersive exhibits, and networking experiences. The Film Festival rolled out the red carpet with provocative dramas, documentaries, comedies, genre standouts, and more including Jordan Peele’s Us as the Opening Night Film; Taika Waititi and Jemaine Clement’s Episodic Premiere of What We Do in the Shadows; Harmony Korine’s The Beach Bum starring Matthew McConaughey and Snoop Dog; Olivia Wilde’s directorial debut Booksmart; Long Shot starring Charlize Theron and Seth Rogen; and Closing Night Film, Pet Sematary, to name only a few. At the Film Awards, we celebrated the collaboration between filmmakers and designers honoring the winners of the 2019 Jury and Special Awards followed by the Audience Award Winners. Flipping the tape over to the Music Festival, we turned up the sound with new, developing, and established Showcasing Artists across all genres from local to international acts. This year’s audible feast included indie rockers The Beths; DC punk group Priests, Swedish rapper and Sad Boys frontman Yung Lean, buzzy Australian singer-songwriter Angie McMahon, seven-piece band Black Pumas; alternative R&B singer/producer Kevin George, British singer Yola; R&B sensation Khalid; the legendary Patty Griffin; soulful pop performer Omar Apollo; South Korean rapper Jvcki Wai; and thousands more. The Music Festival wrapped up with the announcement of the 2019 Grulke Prize winners for Developing U.S. Act, Developing Non-U.S. Act, and Career Act – Pink Sweat$, Angie McMahon, and The Chills. Hundreds of exhibitors from around the world gave us a glimpse of the future with cutting-edge technology from VR demonstrations to robotics at the SXSW Trade Show and numerous SXSW Exhibitions, while we also celebrated the winners of the many prestigious Awards categories throughout the SXSW Interactive Festival for SXSW Pitch, Interactive Innovation Awards, SXSW Hackathon, and Release It. The 2019 SXSW Creative Experience “Arrow” Awards, celebrating creativity and innovation from brand experiences at SXSW, also joined the list of winners announced. SXSW 2019 was filled with ample opportunity to explore, learn, discover, cut a rug, and leave inspired. We hope you enjoyed each exciting moment. Now begins the preparation for 2020 (after a marathon of sleep and some tacos to refuel), and we look forward to seeing you again March 13-22, 2020 in Austin, Texas for the 2020 SXSW Conference & Festivals. Make plans to join the world’s brightest creators in 2020! For a limited time, purchase a 2020 SXSW Platinum, Interactive, Film, or Music Badge at the lowest registration rate through March 31, 2019. Relive all the exciting Keynotes, Featured Sessions, red carpet premieres, and more on the SXSW YouTube channel including Daily Highlights and exclusive interviews from the SXSW Live Studio. Stay tuned to SXSW News for more full-length videos and continued event recaps from speakers, red carpet premieres, performances, and more from SXSW 2019. Peer into your SXSW future and take a glimpse of what our event is all about with our daily Photo Galleries. And as always, follow us on Facebook, Twitter, Instagram, and SXSW News to stay in the SX know. 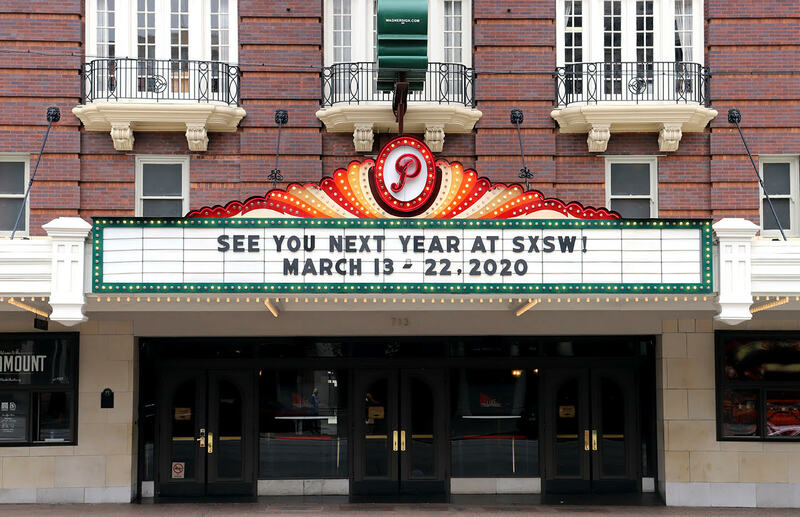 On behalf of all of us at the SXSW Conferences & Festivals – thank you for joining us and we hope to see you next year!